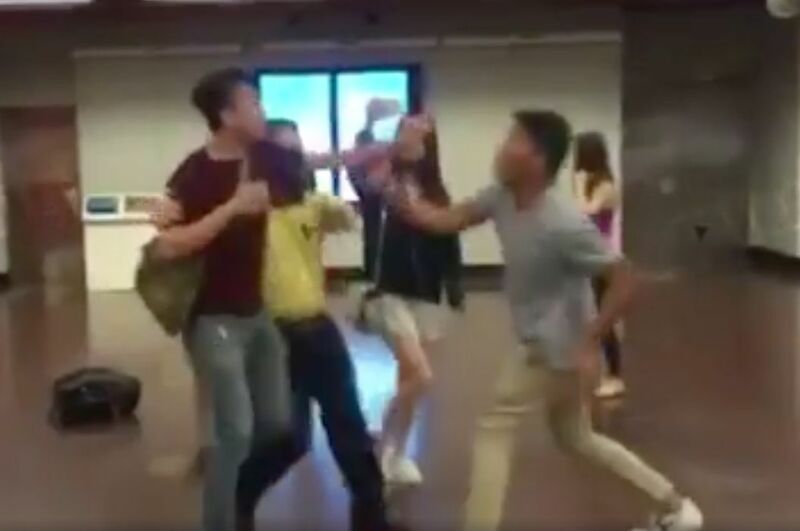 Pro-Beijing newspaper Ta Kung Pao has claimed that localist figure Edward Leung Tin-kei provoked one of its reporters in a scuffle on Saturday. Monday’s Ta Kung Pao contained a story about Leung “provoking and hitting” the reporter on the front page, below a story on his “lavish” lifestyle. Leung claimed last week that he was followed by a car for a month. Two people in the car told him they were from a pro-Beijing newspaper when he confronted them. On Saturday, Leung was involved in a scuffle inside Tai Koo MTR station. He claimed a “paparazzo” from Ta Kung Pao had been following him and taking photographs of him on the street. The man allegedly provoked Leung by commenting on his family members and threatening to release their personal details to the public. 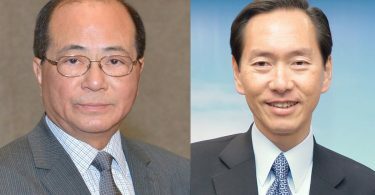 The Ta Kung Pao report on Monday claimed a reporter attempted to ask Leung to respond to findings made by the newspaper, but Leung swore at him and pushed him. 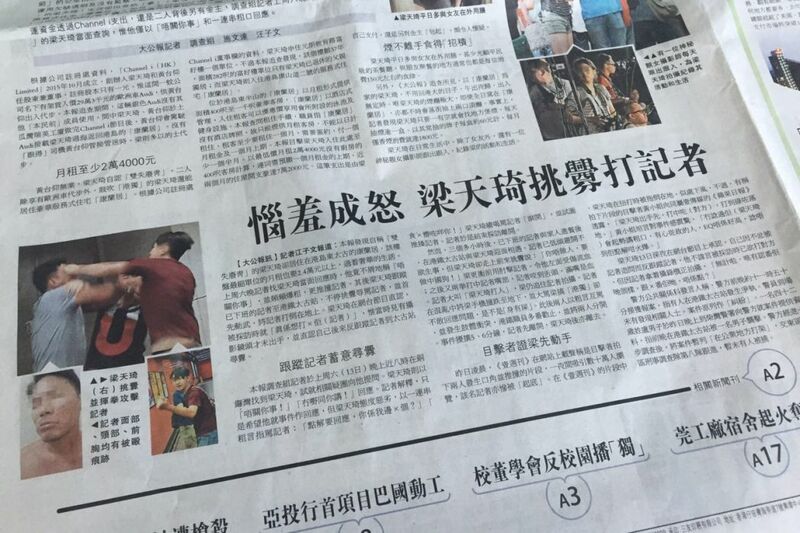 The paper also claimed that Leung bumped into the reporter again at Tai Koo station, provoked him and swore at him. An eyewitness told Tai Kung Pao that Edward Leung started using physical violence first. The newspaper posted a 33-second edited video of the incident, much shorter than a version posted by Next Magazine on Saturday, which was six minutes and 42 seconds long and sent to the magazine by a reader. As the pair drew closer, the man seized Leung’s phone and hurled it away. They then aimed several punches at each other before being separated by station assistants. Dot Dot News, a page affiliated with Ta Kung Pao, posted an interview with the reporter on Sunday night. The reporter, surnamed Lo, showed his injuries and he said he was “very worried,” as details of him and his family were posted online after the fight. “He threatened me, and incited netizens to [post my details], I am very worried… I just wanted to report the news,” he told Dot Dot News. The police received a report of a fight at the Tai Koo MTR station on Saturday night, but have not made any arrests.